Rebellion today announced that Sniper Elite V2 Remastered will launch for Nintendo Switch on May 14, 2019 for $34.99 / €34.99 / £29.99. Pre-orders will be available on the Nintendo eShop with a special 10% discount. A physical edition will be available at retail distributed by Sold Out. In addition to visual upgrades, Sniper Elite V2 Remastered introduces a brand new frame-by-frame photo mode, seven new playable characters from Rebellion’s Zombie Army series, expanded multiplayer for up to 8 players online, and all the additional content ever released for the game, FREE. 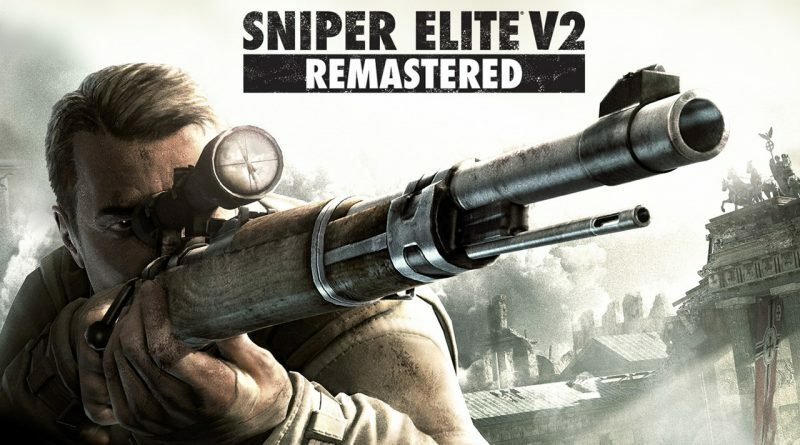 Experience the remaster of award-winning third-person shooter, Sniper Elite V2. Trapped between two desperate armies in a race against time, stealth is key. Stalk your target, set up the shot, and use your skill, patience and cunning to achieve the mission. Will it be a perfect long range shot from the shadows or a rain bullets as you command centre stage?